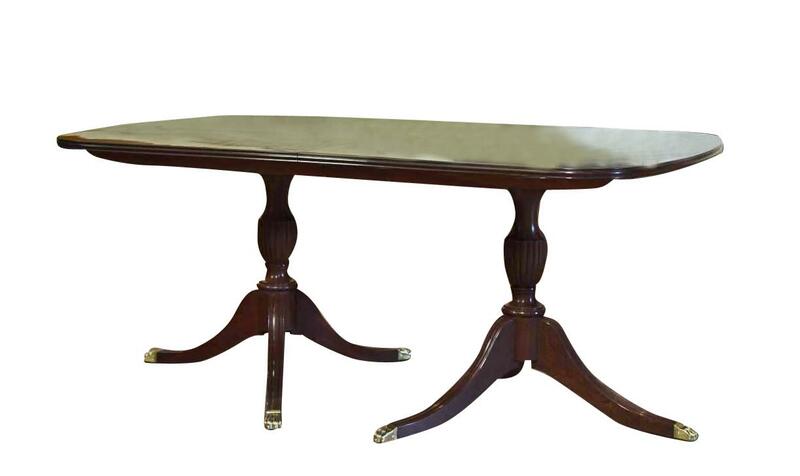 New American made solid mahogany dining table on Duncan Phyfe style pedestals. 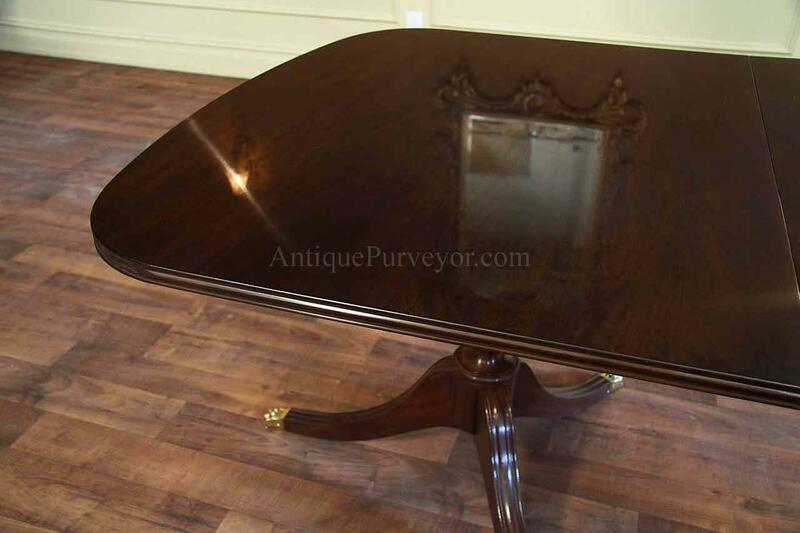 Polished and immaculate finish. 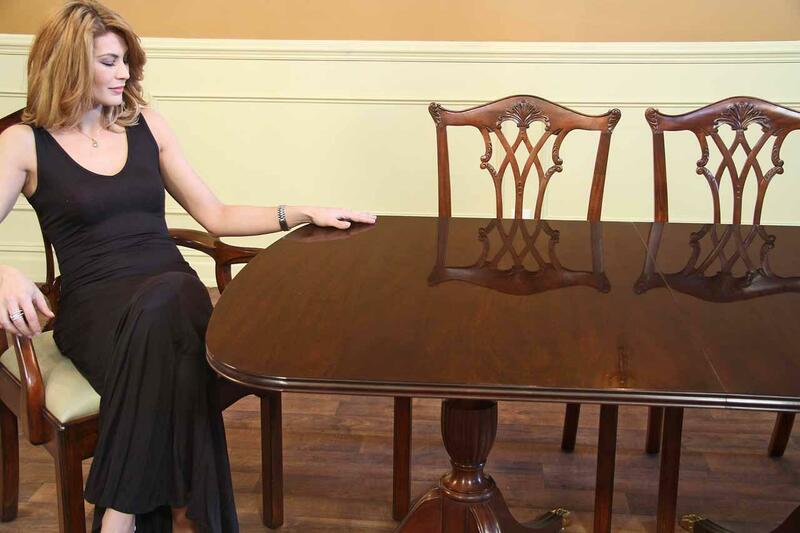 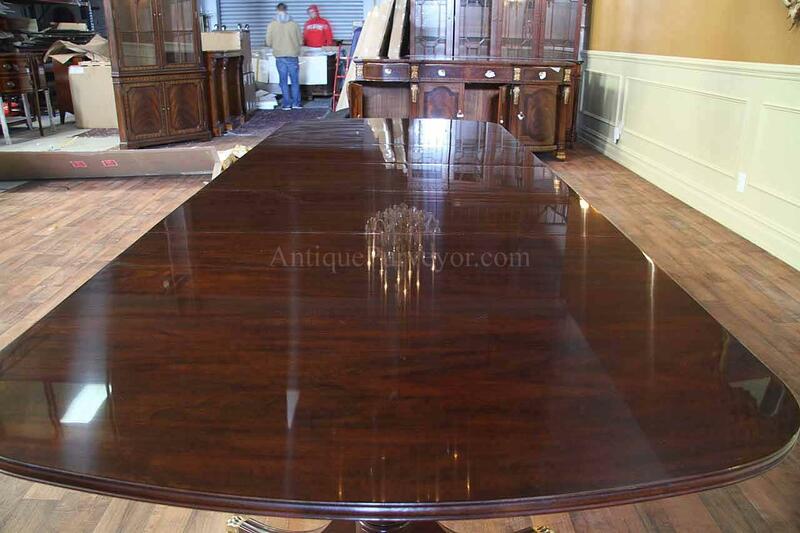 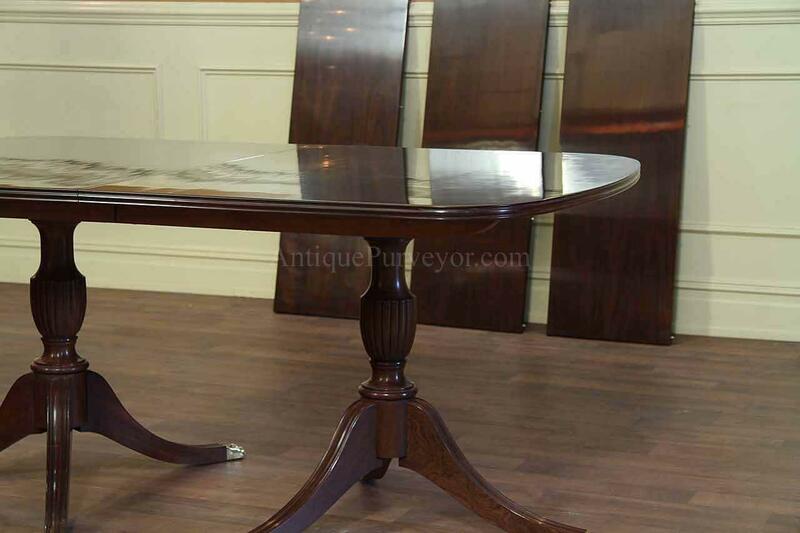 American made table top and American made solid mahogany pedestals. 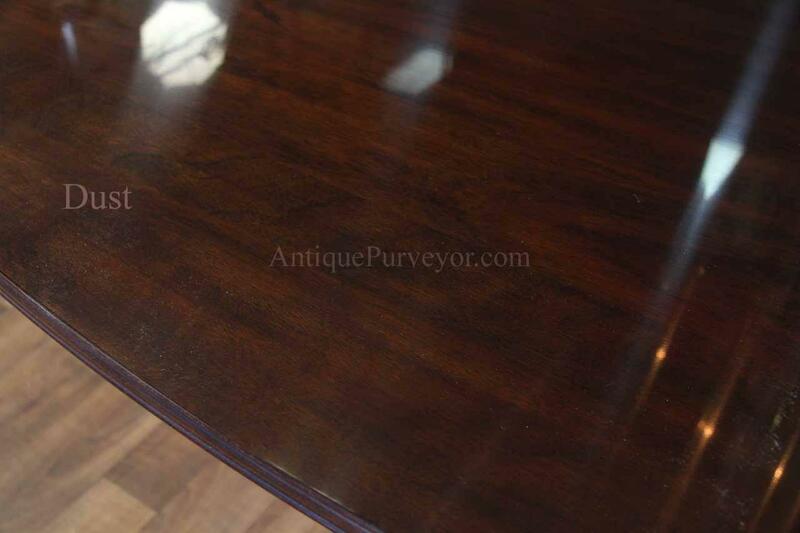 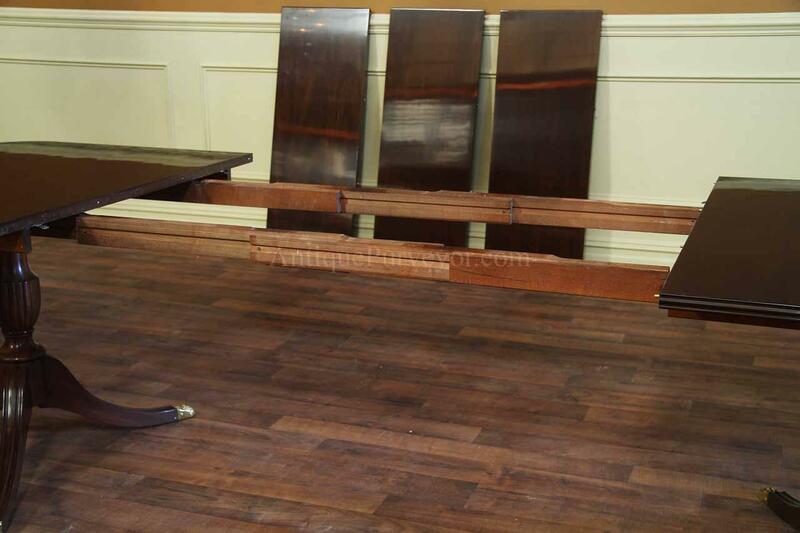 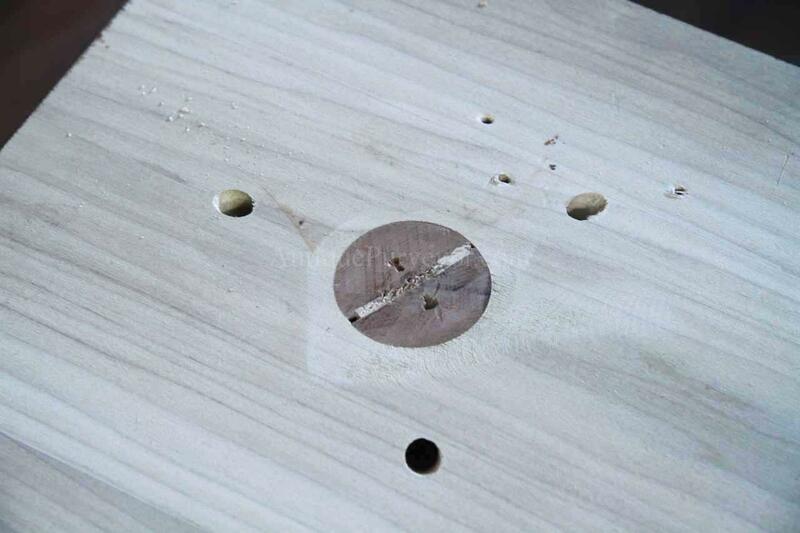 The finish on this table is a factory finish. 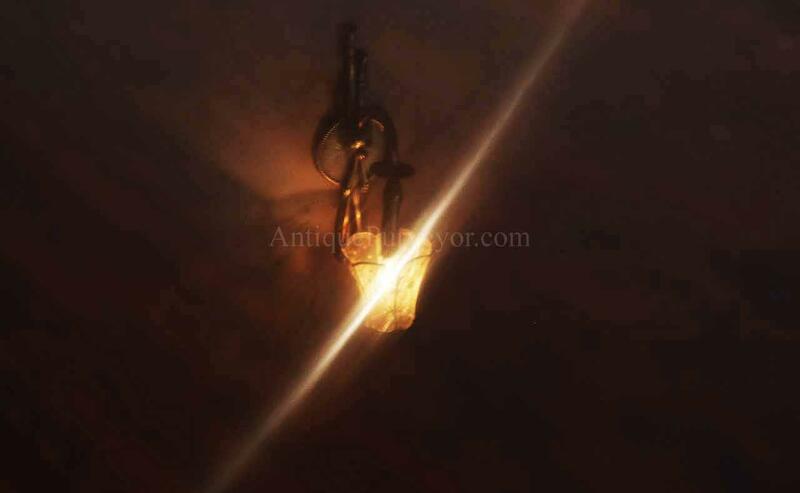 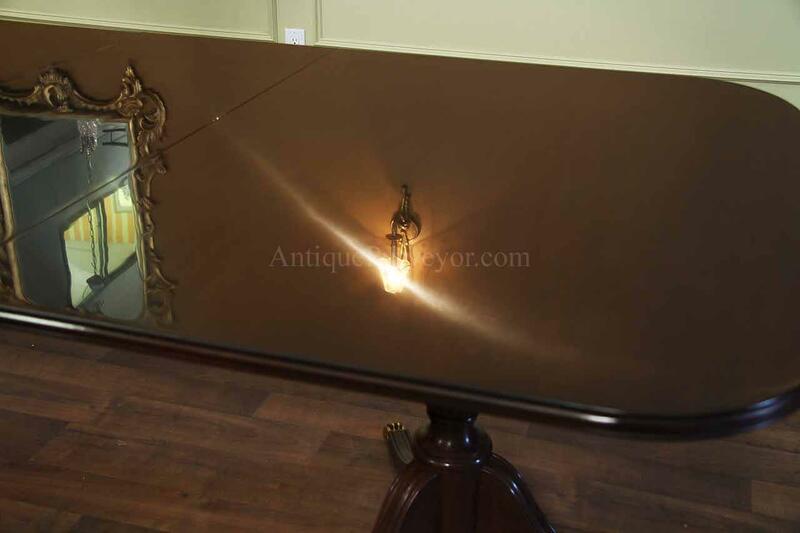 Any blemsih you see in the pictures are either dust, or reflections from our grey colored warehouse. 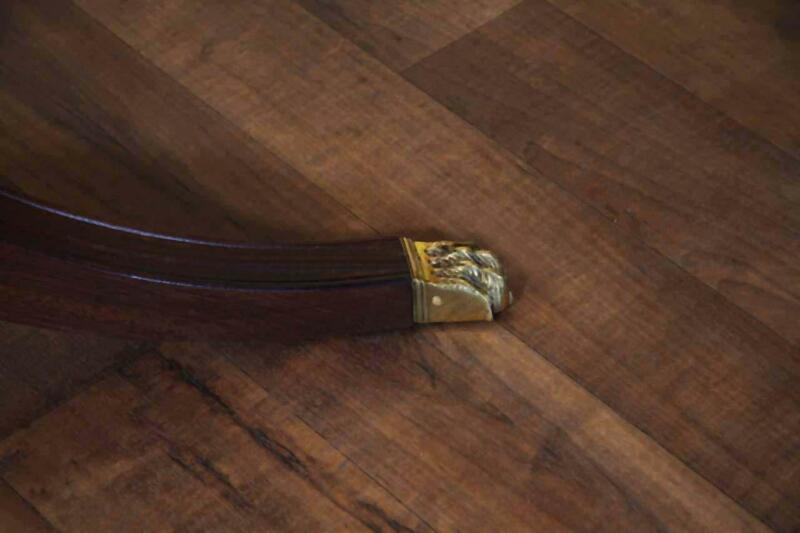 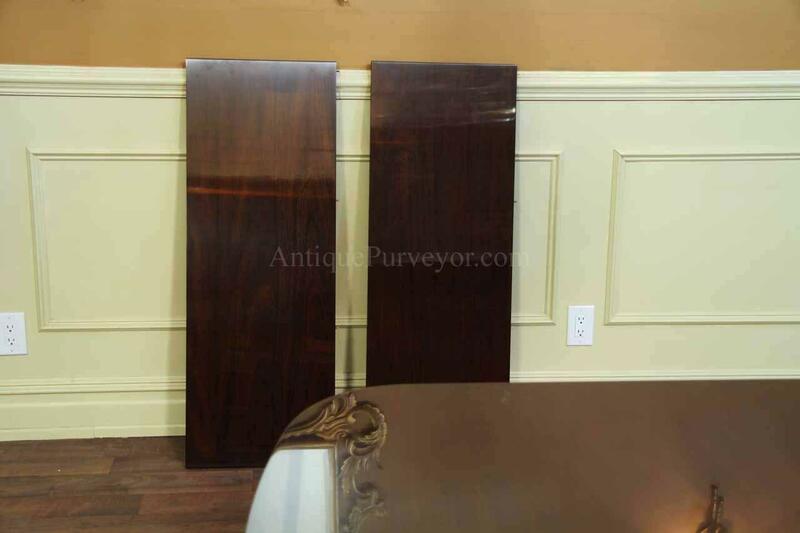 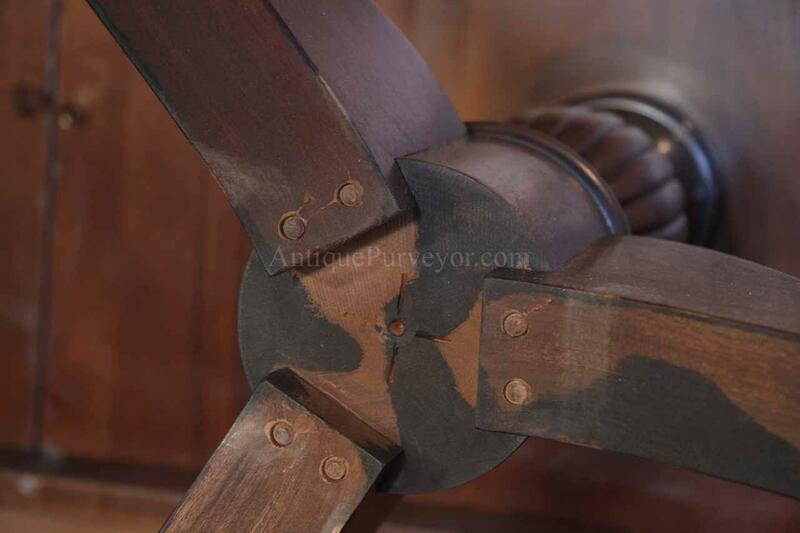 The deep rich brown mahogany color makes this a wonderful choice for the higher end home with Classic decor. 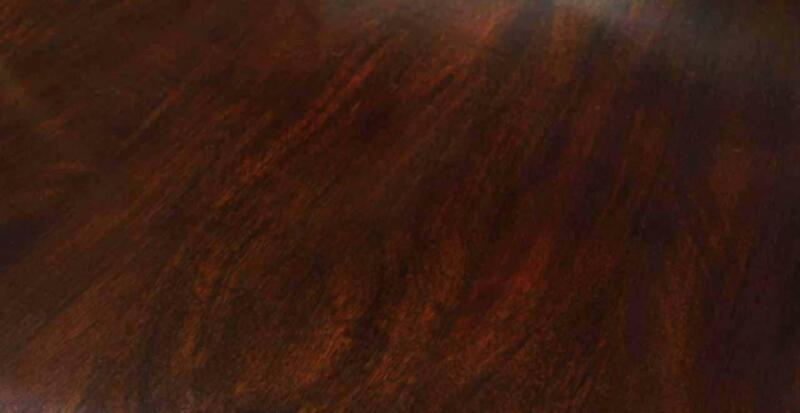 The color can be best described as dark chocolate and very rich. 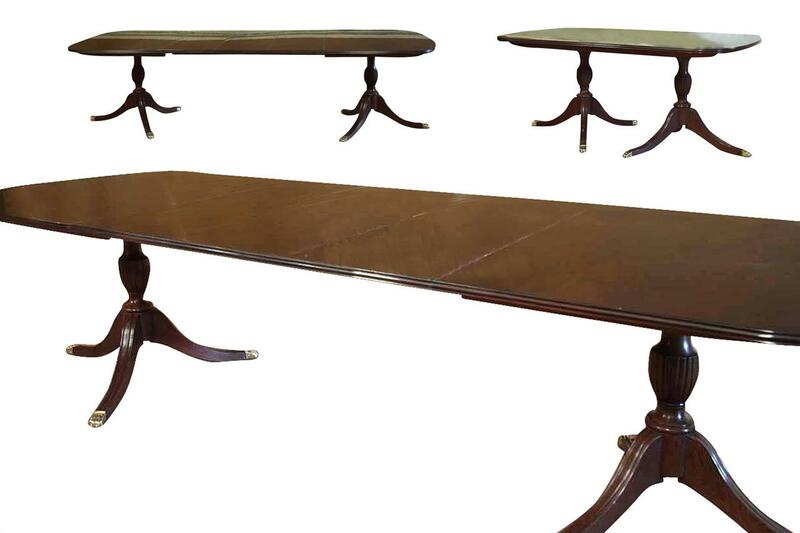 This style dining table is an 18th century design, but it is still a popular designer table for the higher end classic home today. 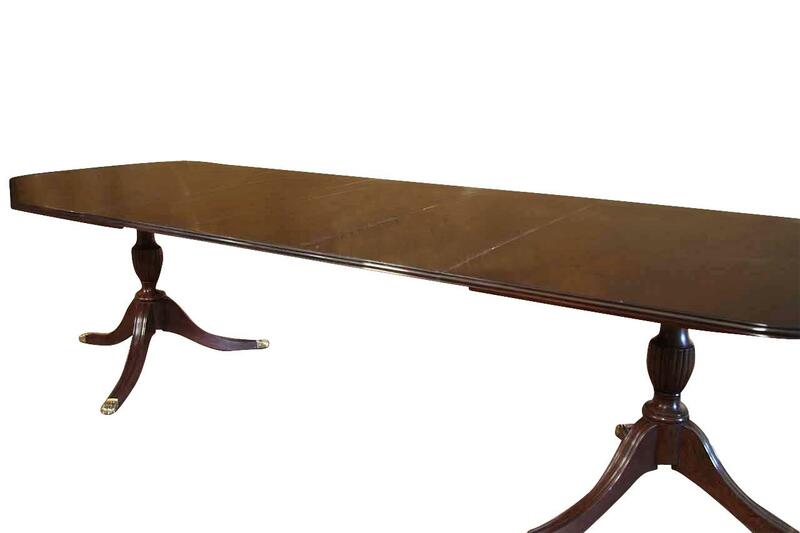 This table was built for our online store and has been added to our lineup for those who are seeking quality, American made goods and solid mahogany. 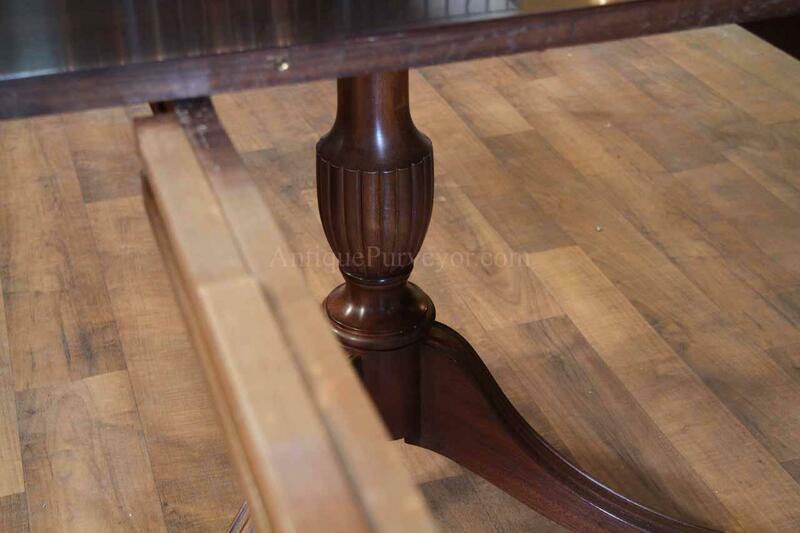 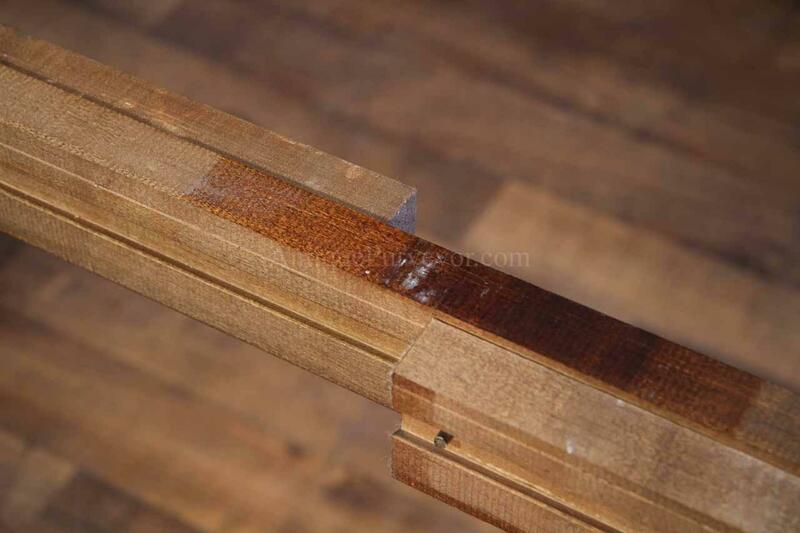 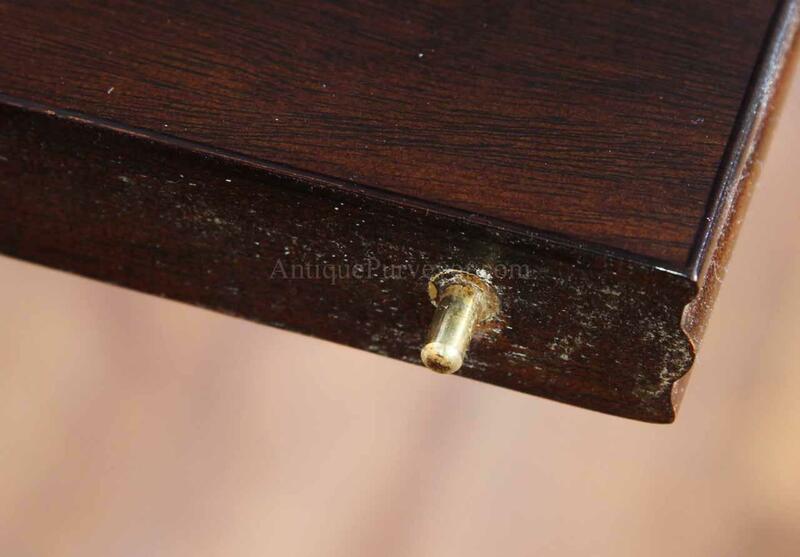 Everything about this table is traditional, including the table locks, wood extension slides and methods of construction are all original to Americana period historic furniture. 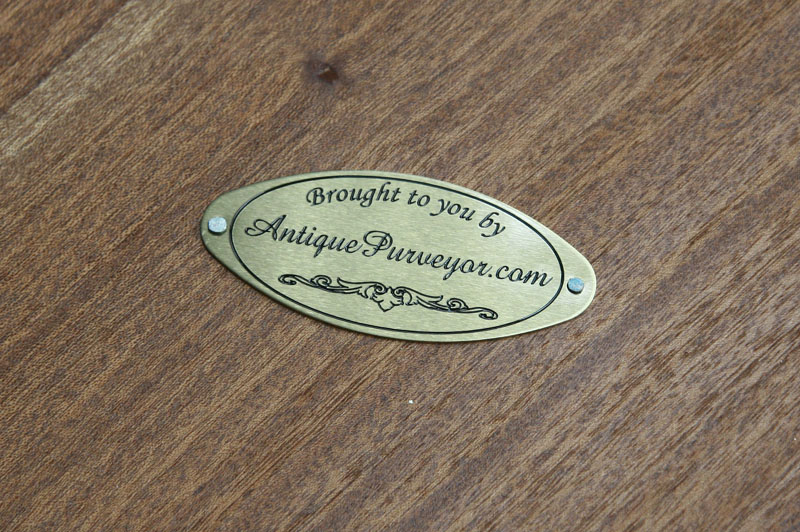 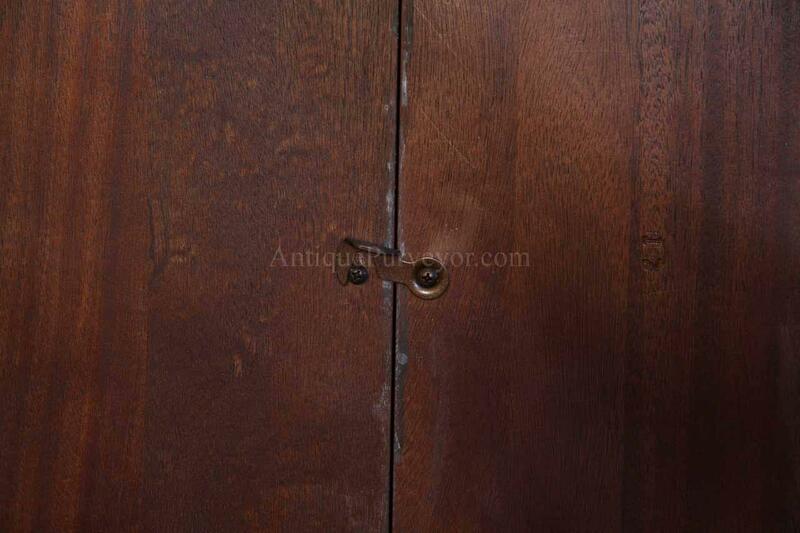 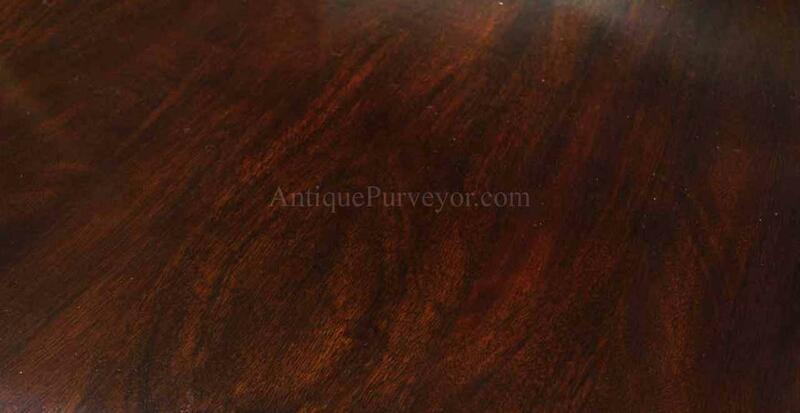 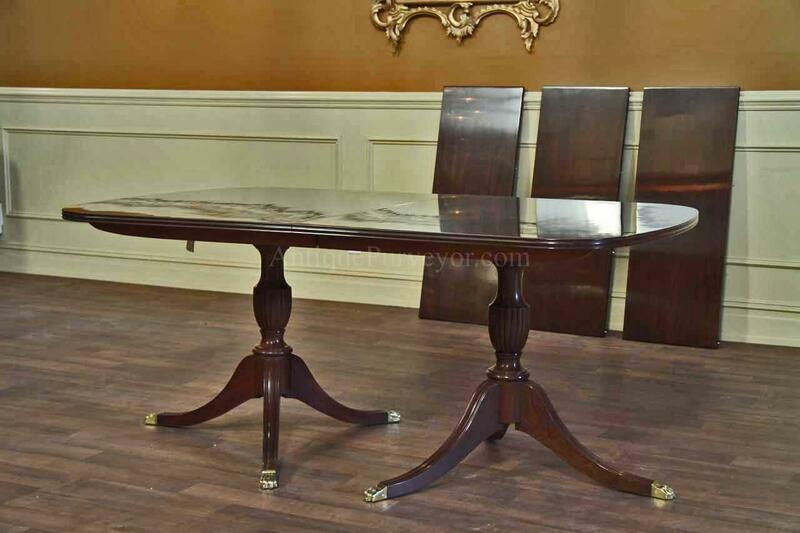 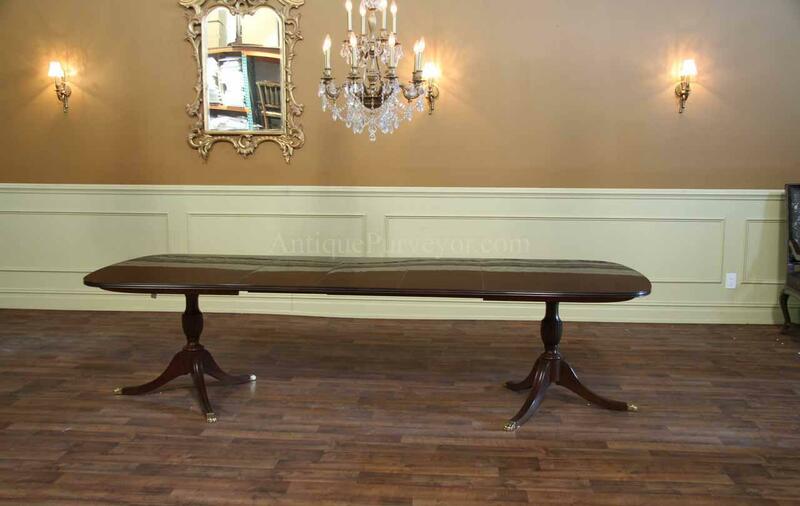 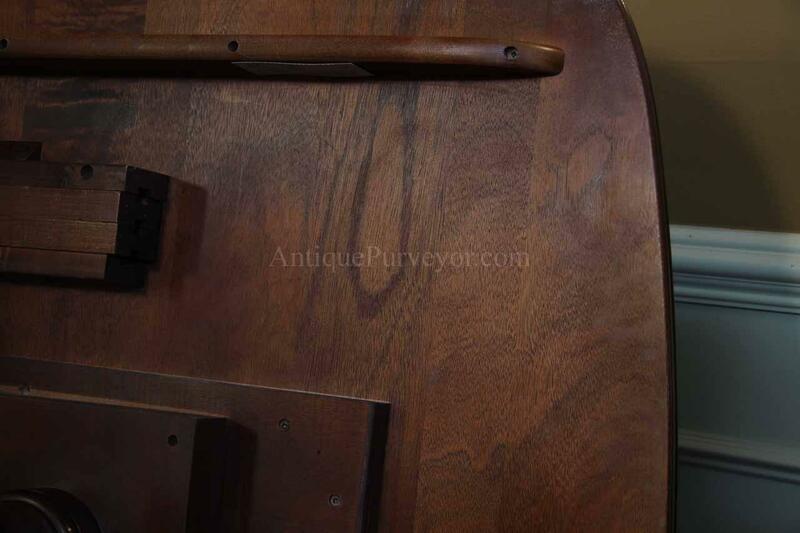 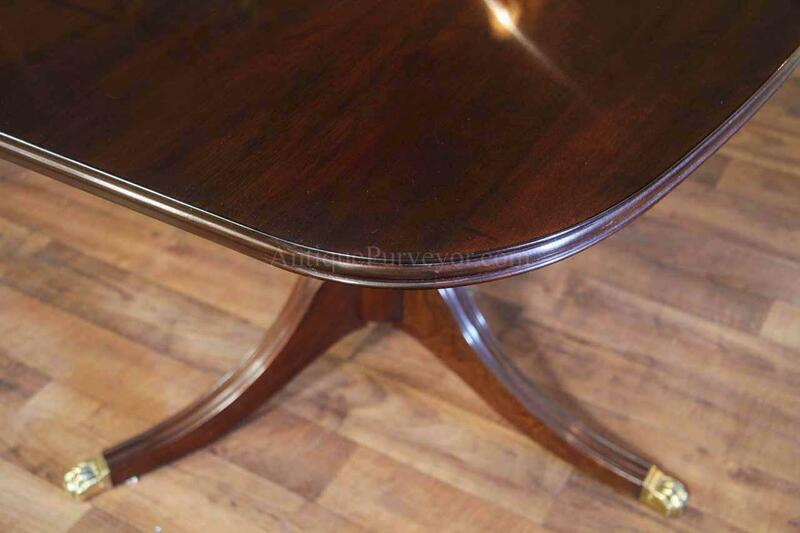 This is an heirloom quality table which will hold its value exceptionally well over the years. 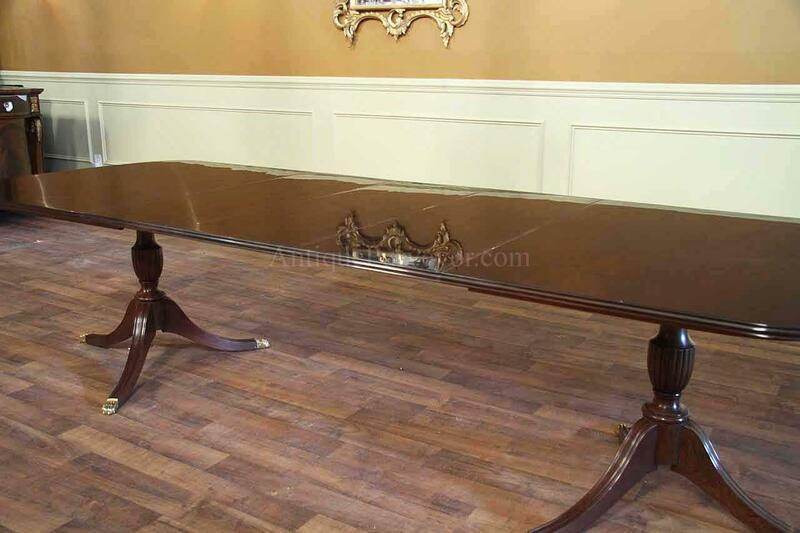 Table sits 10-12 people.